The reality of alcohol and drug addiction is that, in addition to robbing sufferers of their psychological and physical health, it also erodes their independence, financial stability, relationships, and overall quality of life. Very often, individuals who have been severely impacted by alcohol or drug use disorder (typically those who have been engaged in a years-long struggle against the disease) need guidance and treatment beyond the scope of even a thirty-day treatment program. 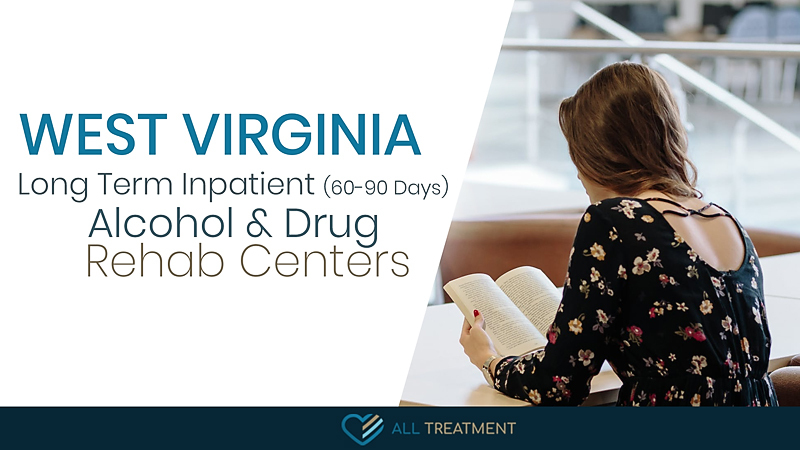 West Virginia long-term inpatient alcohol and drug rehab programs offer a comprehensive, multilateral treatment experience to help patients address the medical, psychological, and lifestyle fallout they experience through their substance abuse. Long-term inpatient alcohol and drug rehab programs in West Virginia typically last anywhere from sixty to ninety days, depending upon patients’ progress, and include medically supervised detox to assist in withdrawal management, as well as comprehensive behavioral rehab to help patients address the root causes and sustaining factors of their addictions. The process may offer “step-down” services like outpatient treatment after residential care is no longer required, or sober living homes to help patients gradually transition to a life of independence in recovery. If you feel that you or your loved one need the highest level of care for drug or alcohol use disorder, start reviewing our database of West Virginia long-term inpatient alcohol and drug rehab centers today.